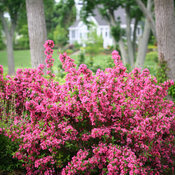 This is a humdinger of a weigela! 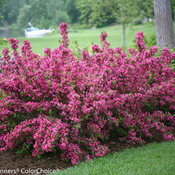 Sonic Bloom® weigela are the strongest rebloomers ever seen in weigela. 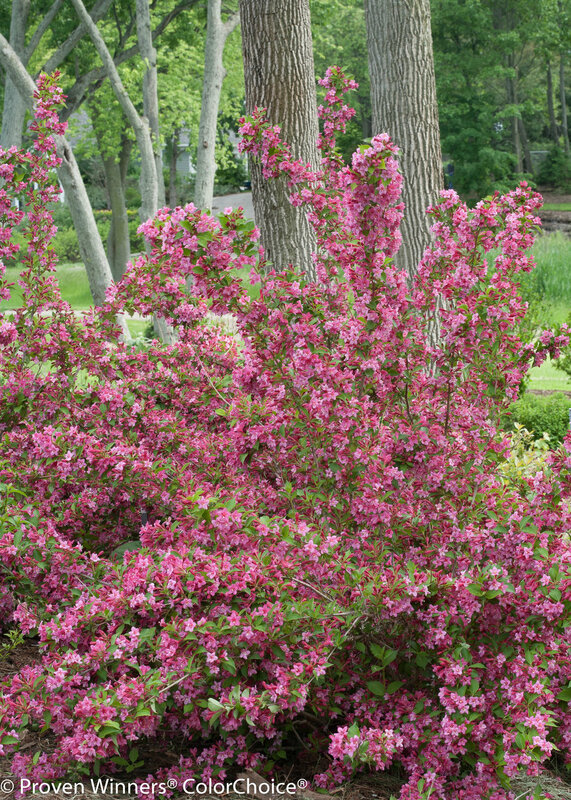 Loads of hot pink flowers in May are followed by waves of blooms until frost. 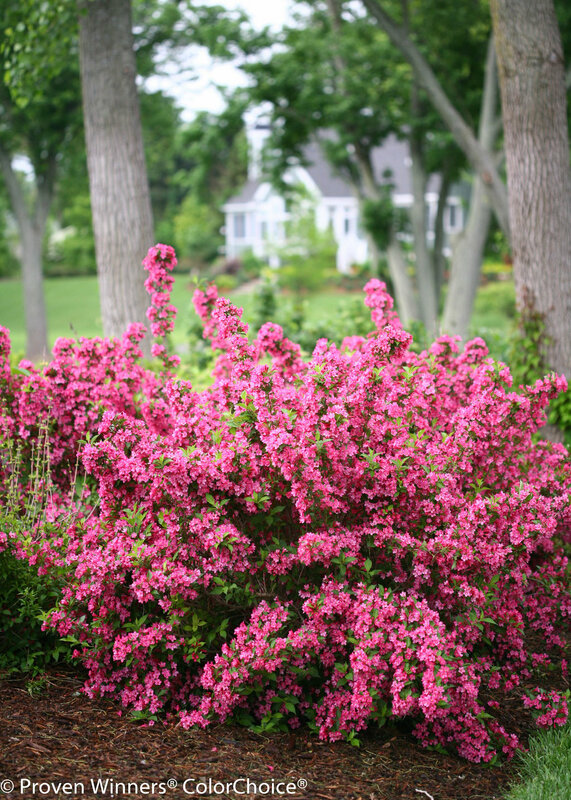 No deadheading is needed to see strong reblooming through summer and fall. Sonic Bloom® is a registered trademark of the Syngenta Company. 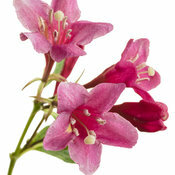 Prefers well-drained soils but fairly adaptable to other soil types. 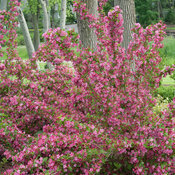 If necessary, prune immediately after the spring bloom. 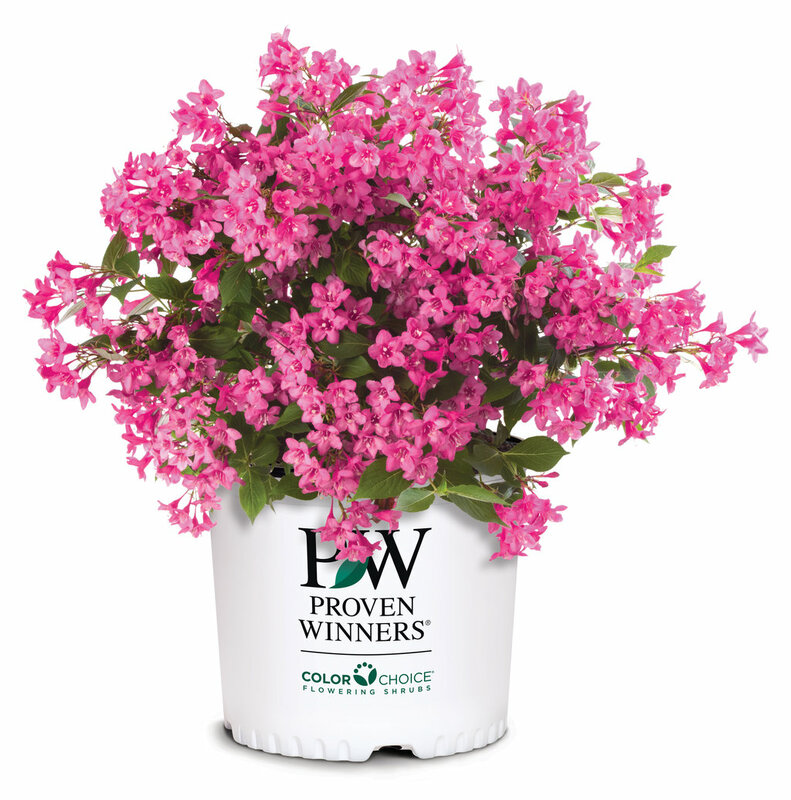 Best flowering occurs in full sun, but light shade isn't harmful, particularly in warmer climates. 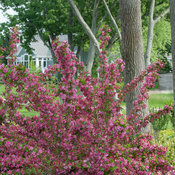 If desired, fertilize in early spring with a granular fertilizer formulated for woody plants, like a rose fertilizer. 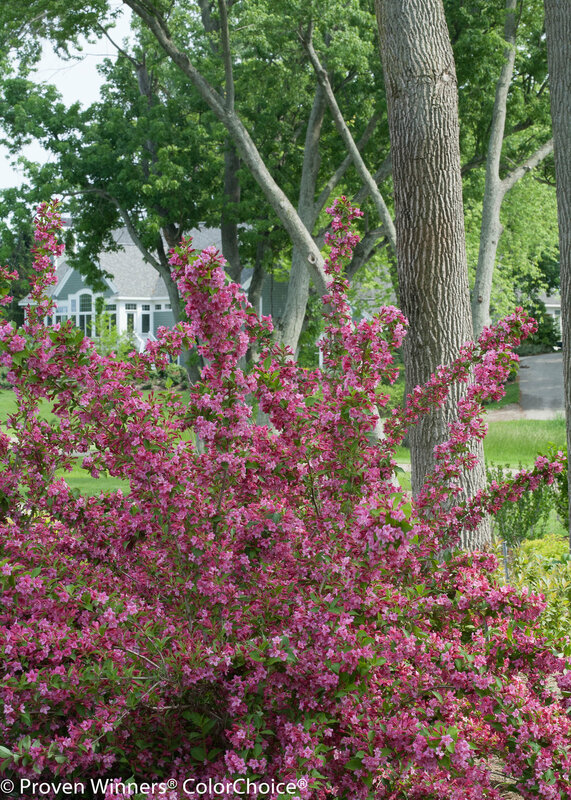 Planted this late in the fall, had a brutal winter of ice and unusually cold temperatures. Both of my Sonic Blooms came through with NO dead branches, and have bloomed since late April/early May (it is now almost June). 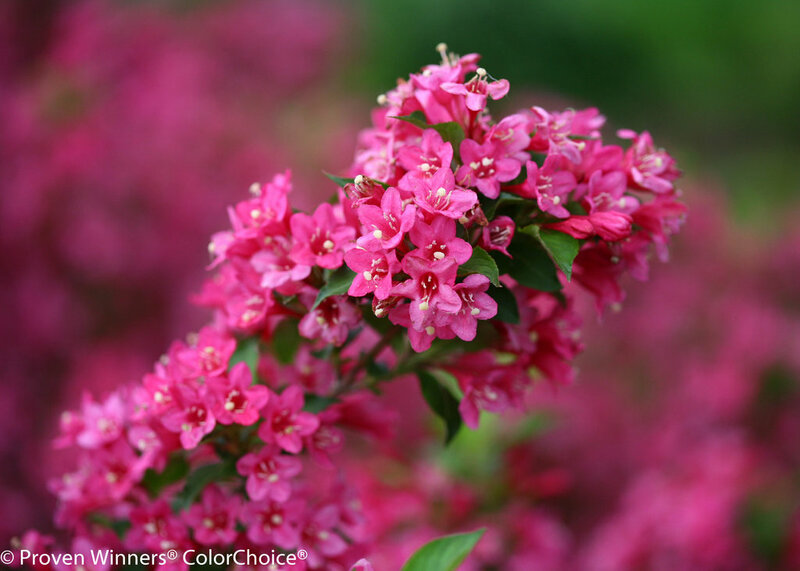 Absolutely covered with pink blossoms. 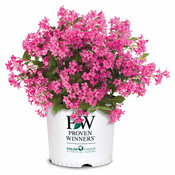 I will definitely be adding more of these to my landscape. The only reason I didn't choose the highest rating is because I can't say this is my absolute favorite out of all the plants I have, but it is definitely among my favorites. 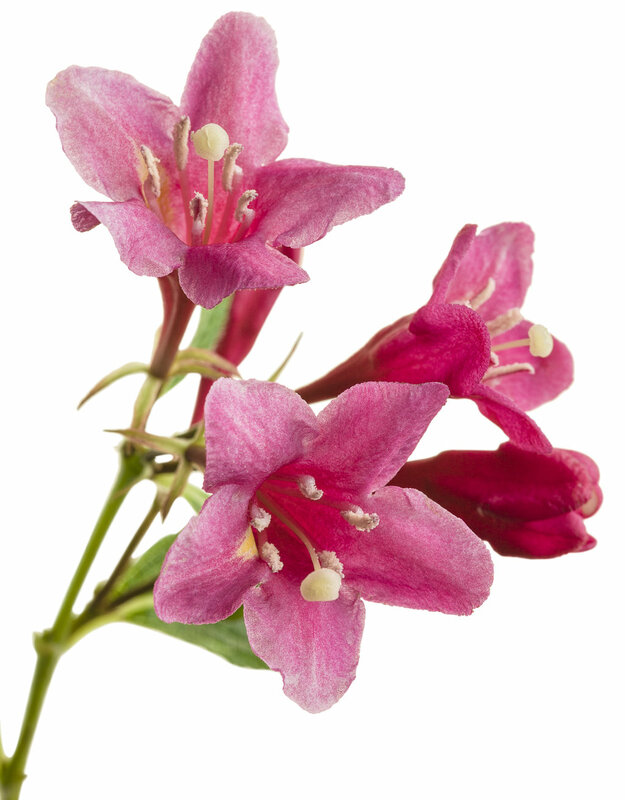 I do not have a single complaint about this Weigela! I purchased a one gallon size from a local nursery mid-summer last year (2013) and planted it in the corner of a raised L-shaped bed that surrounds our deck. It is definitely a statement piece and I thoroughly enjoy it! 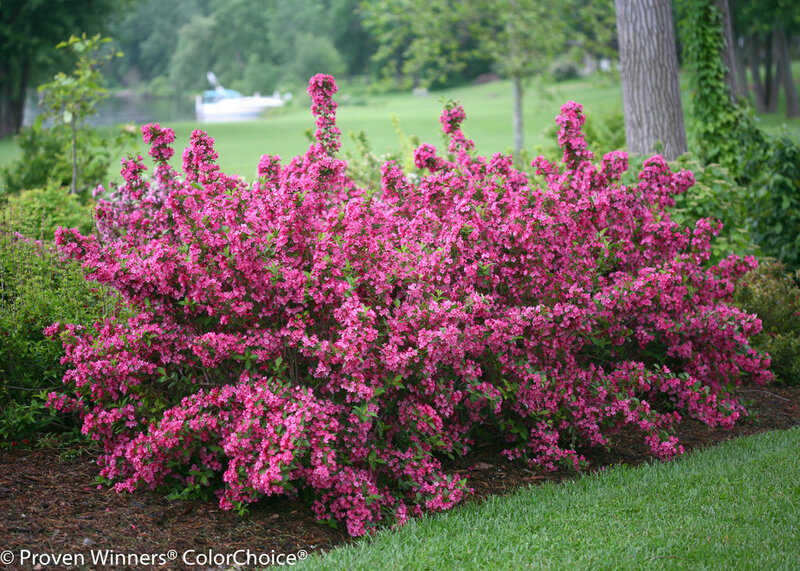 Even though I planted it late in the season last year, I was rewarded for my purchase with a slew of pretty, deep pink blooms! I was quite worried about the poor thing over the winter. I live in a suburb north of Indianapolis and we had a VERY harsh winter this year. I was worried that maybe it wouldn't make it through the winter since it was so newly planted, but it was one of the first plants to sprout leaves this spring and it already (it is early May) has flower buds ALL OVER IT that should begin opening this weekend or early next week. 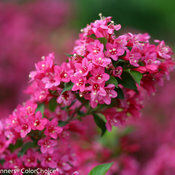 I am very excited to see the beautiful blooms popping up all through the summer. 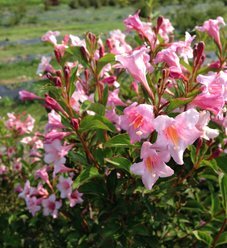 I like this Weigela so much that I plan to incorporate at least one, if not two, into the re-design of our front yard landscaping. 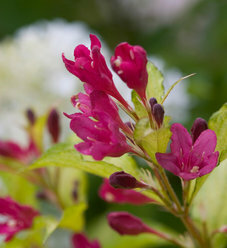 I am very excited to see there is a new Weigela which blooms so long! I am always sad when the blooming is over! 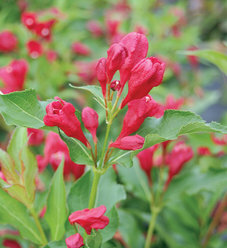 An extremely hardy plant/shrub!